Crestview FFA poses with State FFA Officer, Kolesen McCoy. 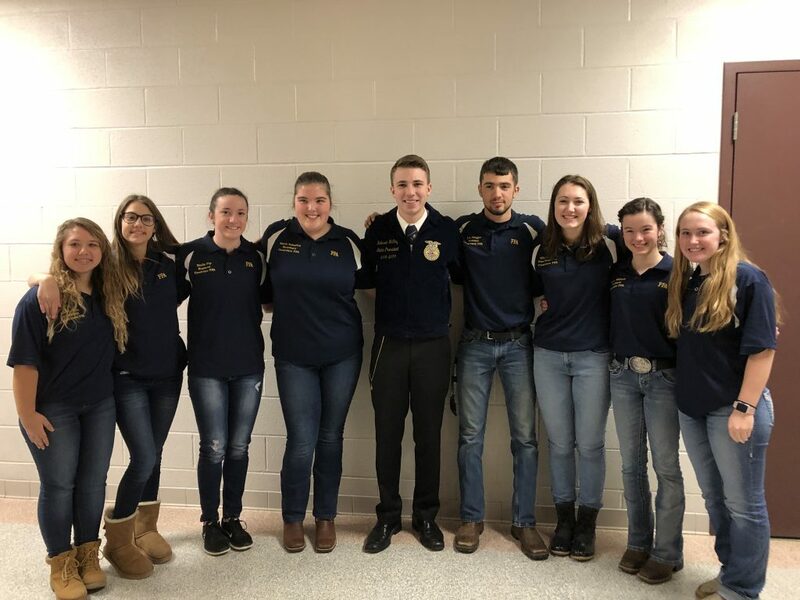 ASHLAND, Ohio — On Jan. 15, the Crestview FFA hosted State FFA Officer, Kolesen McCoy, to talk to students about many different things. In first period, McCoy explained to the juniors and seniors how to be the change in FFA, with the freshman, he explained how to become more involved with FFA. In third period with the sophomore and juniors, McCoy explained how to be a leader and the qualities of a good leader, and finally in fourth period with the sophomore and juniors he explained how concurring your fears can have a reward. The visit gave the FFA members a new look on how FFA can continue after high school and help throughout life.